Dynamics of the facial aesthetics is changing rapidly as we treat more and more faces. Our understanding of the molecule at hand and its various applications only expands as our learnings progress. Perception and expectation of the end goal to beauty itself are evolving, and therefore newer ways of analyzing, understanding, and delivering of any aesthetic drug have to evolve continuously. Botulinum toxin is one of the wonders in the aesthetic world, which led the entire focus of the medical fraternity into nonsurgical facial aesthetics. Botulinum toxin was and is still the best tool for relaxing lateral canthal lines and glabellar frown lines. However, it has evolved further to now impart changes/enhancements in skin texture and luminosity, enhancement in facial shape, and reduction in glandular activity of sebaceous, sweat, and salivary glands, therefore leading to a lot more aesthetic application while it still remains as the line eraser. This study was aimed to understand and demonstrate the various ways in which botulinum toxin can be used in aesthetic practice in enhancing the overall aesthetic scale of a patient. Especially now that the focus and so the desire to look beautiful is no more just erasing the lines but more about the skin and its hydration, texture, and luminosity, and the shape of the face. The application extends to various depths, doses, and dilutions of injection, and techniques of injecting. Therefore, to understand the anatomical depth and extent of the tissue, and the dynamics of the drug, its dilution and dispersion are crucial in achieving the desired aesthetic outcome, and to ensure clinical safety in the delicate dynamics of the thin, overlapping and interdigitating facial muscle. The targets are the facial muscles of expression, which originate from the bone and attach to the facial skin; sweat glands of the face and scalp; sebaceous gland, specially of the T-zone of the face; and salivary gland. Various dilutions have been tried and documented such as 1mL, 2mL, and so on. In my practice, 2.5mL saline is used to reconstitute one vial of 100 units of Botox (Allergan®, Dublin, Ireland) with BD insulin syringes because the needles are swaged-on, needing no hub or additional needles. When the intention is to work with minimal number of units of the drug but need to cover a large area, then double dilution is used. For example, the lateral extent of the orbicularis oculi muscle can, in some cases, extend to the upper cheek, lateral malar area, and all the way to the tragus, covering the entire part of the lateral cheek. Although one may want to trace all these fine creases, one must respect that this is the part of orbicularis oculi that is responsible for the cheek elevation. Triple dilution is used while injecting the cheek and jawline for skin texture and hyperhidrosis. In this area though, extra caution is taken to make sure each single injection point will have the minutest of droplets, considering the drug spreads across dimensions. Also using a diluted drug makes it possible to deliver the required dose of the drug so as to ease the lines caused by the superficial fibers of the muscle attached to the skin and also to make sure not to knock off the action of the muscle. A dilution of 4mL seems to work the best for hyperhidrosis of scalp and other body parts. For double dilution, draw the desired number of units into the insulin syringe with the standard 2.5-mL dilution and further draw equal amount of normal saline. So now, for every marking on the syringe, you have half a unit instead of 1 unit. This gives the ability to deposit as little as a quarter unit with each injection. For triple dilution, the standard drug with 2.5-mL dilution is drawn and twice the quantity of normal saline is drawn in, so now the drug is further diluted. A total of 0.3 unit of the drug is delivered when you push out 1 unit on the insulin syringe. The focus is also on the skin itself. One of the hallmarks of a beautiful and youthful face is smooth skin and taut jawline, smooth neck, and relaxed appearance of the face. Relaxing being one of the principles from the 4R principles of facial rejuvenation. Microbotox technique was developed by Dr. Woffles Wu. The objective of microbotox was to deliver the tiny blebs of Botox as superficially as possible, specifically to create this intradermal effect and superficial muscle weakening, and at the same time, not to allow diffusion of the toxin into the entire muscle to paralyze it completely. The use of microbotox was then extended to the under-eye lines, to decrease oiliness of the central T-zone of the face and cheeks, and eventually to the lower face and neck. The area or the lower face and neck that benefits from microbotox injections is defined as a zone bounded by a line 3 fingerbreadths above and parallel to the border of the mandible, 1 fingerbreadth posterior to the depressor anguli oris (DAO), and all the way down over the cervicomental angle. Botox is injected so as to ease small blebs into the dermis or the interface between the dermis and the superficial facial muscles. The benefits of microbotox are that it may decrease the sebum production and pore size in addition to its known effects on hyperhidrosis. In addition, the smooth lustrous appearance of the forehead skin because of decreased sweat and sebaceous gland activity is an aesthetic bonus. Additionally, aesthetic benefits are observed in adult acne and fine crinkly skin on the face and neck. Various injection depths used are as follows. With double or triple diluted Botox dilution, intradermal injections are used when working with microbotox on the cheeks or scalp to target the sebaceous and eccrine glands. In the standard dose, injecting into the superficial fibers eases off fine lines of the neck. When targeting the most superficial attachment of the muscle fiber that is to be relaxed, the subcutaneous plane is used. For example, lateral cheek extension of the orbicularis oculi for the extended canthal lines, DAO, orbicularis iris for perioral lines, and in difficult cases of dynamically inward turning lips, platysma for horizontal neck lines, and crinkly neck, and also when injecting the tail of the corrugator. Deep intramuscular depth is used when injecting right into the belly of the muscle such as in the head of corrugator, platysmal bands, and masseter. Intraglandular depth is used when injecting into the salivary gland in case of parotid hypertrophy, and in rare cases, when injecting into the submandibular gland, which bulges down after neck lift surgeries. The extent, bulk, action, and counteraction of the muscles are examined by asking the patient to bring into action the group of muscles, but the muscle is relaxed while injecting. For example, the patient is asked to close their eyes squeezing tight so as to kick in frontalis, corrugator, procerus, nasalis, and orbicularis muscle and to bring them all to into action [Figure 1], [Figure 2], [Figure 3], [Figure 4]. The points of injection are then decided depending on the extent of the muscle, and the depth and dose according to the bulk of the muscle. It is important to appreciate the interdigitation of the depressor and the elevators of the forehead such as corrugator with frontalis medially, frontalis and orbicularis laterally, and frontalis and procerus medially. Placement of the drug has to be accurate in terms of muscle extent and depth so that there is no diffusion either ways into unwanted muscle fibers. The injection is administered with the face at complete rest. The patient is asked to bring into action the muscle and to keep it in contraction while injecting. For example, while injecting the platysma bands, the muscle (which is in contraction) is held between the fingers and injected into the band so as to deposit the drug into the required site to achieve the desired aesthetic result. To understand the dynamics of relaxing is of utmost importance as relaxing one might lead to hyperactivity of the other; for example, overdosing lateral orbicularis may lead to hypercontraction of medial orbicularis causing lines around the inner canthus of the eye and when orbicularis oculi and brow depressors over relaxed leads to nasalis hyperacting in contraction. As the muscles are in a dynamic relationship with one another and many are also overlapping and interdigitating, it becomes very important to accurately factor in the drug, the muscle, the plane, and the anatomy when planning and executing the intervention. Therefore, extending the already known expertise into different dilutions and different planes of injections can yield much rewarding aesthetic outcomes. Lorenc ZP, Smith S, Nestor M, Nelson D, Moradi A. Understanding the functional anatomy of the frontalis and glabellar complex for optimal aesthetic botulinum toxin type A therapy. Aesthetic Plast Surg 2013;13:975-83. Campanati A, Martina E, Giuliodori K, Consales V, Bobyr I, Offidani A. Botulinum toxin off-label use in dermatology: a review. Skin Appendage Disord 2017;13:39-56. Shah AR. 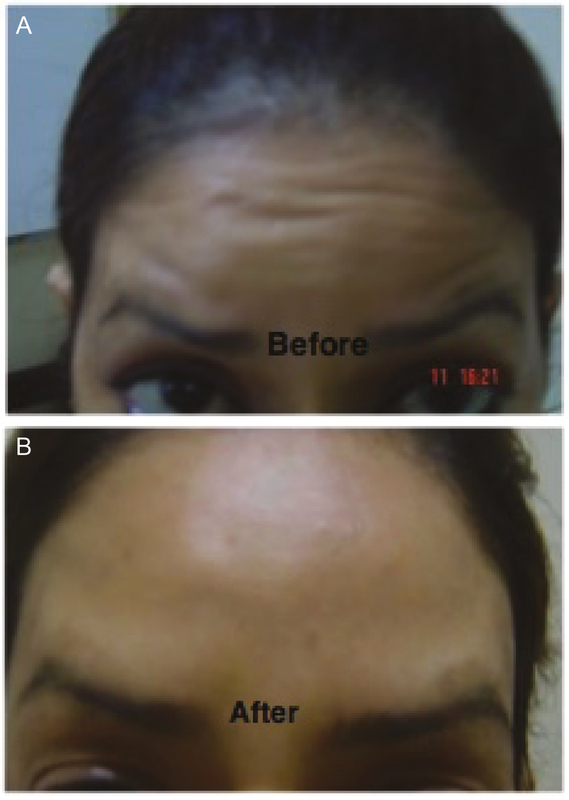 Use of intradermal botulinum toxin to reduce sebum production and facial pore size. J Drugs Dermatol 2008;13: 847-50. Kane MA. 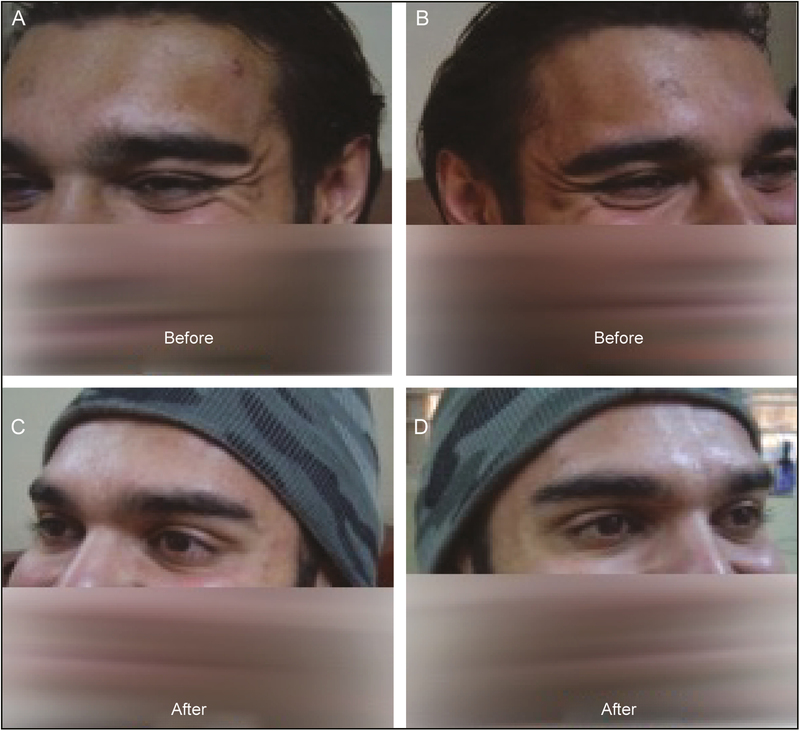 Nonsurgical treatment of platysma bands with injection of botulinum toxin a revisited. Plast Reconstr Surg 2003;13:125-6S. Wu WT. 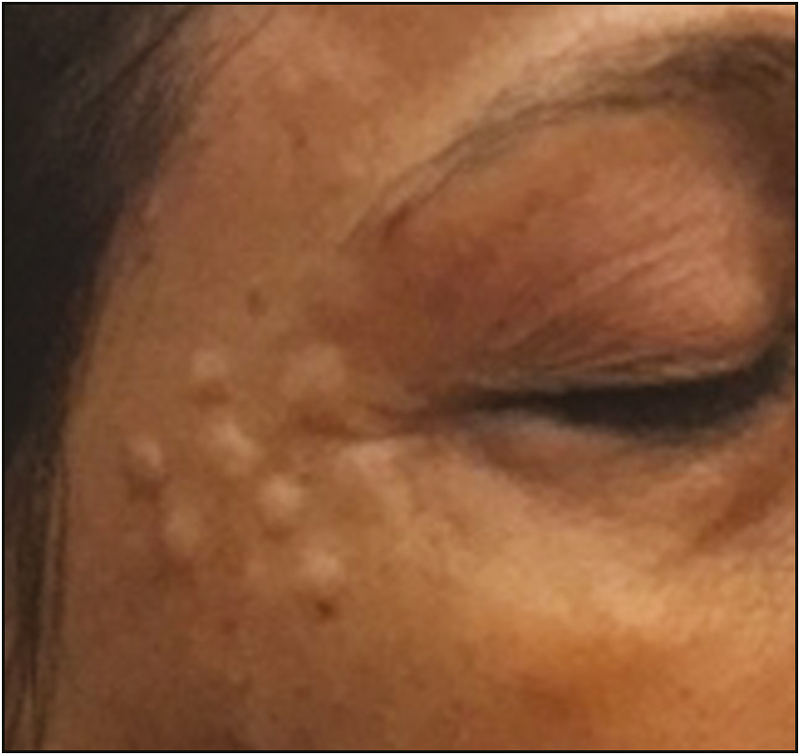 Botox facial slimming/facial sculpting: the role of botulinum toxin-A in the treatment of hypertrophic masseteric muscle and parotid enlargement to narrow the lower facial width. Facial Plast Surg Clin North Am 2010;13:133-40. Bass Kaplan J. The dilution confusion: easy dosing for botulinum toxins. Plast Surg Nurs 2016;13:24-7. Glaser DA, Hebert AA, Pariser DM, Solish N. Palmar and plantar hyperhidrosis: best practice recommendations and special considerations. Cutis 2007;13:18-28. Wu WT. Achieving optimal results with thermage using mesoanesthesia and revised treatment parameters. Aesthet Surg J 2007;13:93-9. Wu WT. Microbotox of the lower face and neck: evolution of a personal technique and its clinical effects. Plast Reconstr Surg 2015;13:92S-100S. Levy PM. The “nefertiti lift”: a new technique for specific re-contouring of the jawline. J Cosmet Laser Ther 2007;13:249-52.